Books: Leaders of the French Revolution (1929), Robespierre (1935), English Witnesses of the French Revolution (1938), Napoleon Bonaparte: His Rise and Fall (1952). James M. Thompson was born in 1878, the son of an Anglican reverend. Thompson was raised and educated in the country before completing a degree in theology and philosophy at Oxford. This education was intended to prepare him for the Anglican clergy and he was duly ordained in 1903. In 1906 Thompson became Dean of Divinity at Magdalen College, Oxford. His deanship was controversial, chiefly because of Thompson’s theological writings, which challenged existing church doctrine and led several Anglican prelates to demand his replacement. He resigned as dean in 1915 but returned to Oxford after the war, primarily as a lecturer and tutor in modern history. 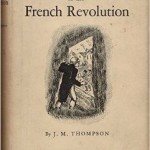 In the late 1920s Thompson began writing and publishing original research, focusing particularly on French history and the revolution. In time he became Britain’s leading expert on the French Revolution, at least until the emergence of Richard Cobb and Alfred Cobban after World War II. Thompson’s historical position is difficult to pin down. While he was influenced by Albert Mathiez, Thompson’s perspectives tend to be more Whig-liberal than Marxist. His 1935 study of Robespierre shows some sympathy to its subject, suggesting that Robespierre’s intentions were good, even though his methods and aptitude were flawed. 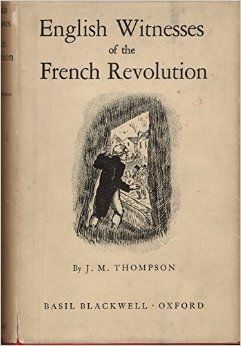 In terms of methodology Thompson employed the positivism of François Aulard, studying the revolution chronologically and through significant documents before reaching conclusions.